This past Monday night I was in Annapolis for the final hours of the Maryland General Assembly’s 90-day legislative session (Legislative Report from the Maryland General Assembly – Sine Die). It was a beautiful spring evening with the cherry blossoms circling our State House in full bloom as I walked up the capitol steps to watch the proceedings come to a close. Every time I enter our State House, I am always in awe of the history and traditions of this special building. The Maryland State House is the oldest state capitol still in continuous use and the only state house ever to have served as our nation’s capitol. I walked the same halls that George Washington traveled before resigning his commission as commander-in-chief of the Continental Army before Congress. That night was extra special as it was the 119th anniversary of the enactment of the CPA Statute in Maryland. Our history book documents it as follows, “late on the evening of April 10th,  Governor Smith, of Maryland, signed the bill…and the same became law of the State of Maryland.” Maryland was the third state in the nation to enact a CPA statute recognizing the public interest and necessary oversight by the state that goes with licensing. I was standing in the same building at almost the exact time that Governor Smith signed our CPA Act into law in 1900. Apparently, at the time, Baltimore was the fastest growing city in the United States with a bustling port and major industries that included steel, railroads, banking, insurance, tobacco and of course beer distilleries. These new industries were in need of people with special skills to account for their businesses which were much different from those of the agrarian economy that preceded them. The organizations were much larger, more complex and had to account for capital, labor, equipment, and inventory that were all relatively new concepts. They needed people with special skills to help them make sense of these businesses and to protect the public interest that goes with complex multi-state enterprises – the CPA Profession was born. Now it is 119 years later and our Profession has continued to evolve and adapt. I was fortunate to volunteer for and lead the CPA Vision 2011 Project in 1999. A leading futurist, David Pearce Snyder, addressed the need for future-focused CPAs, business advisors who could help bring ideas to life and usher in what is now being called the Fourth Industrial Revolution. That project was the first time ever that a Profession worked to create a vision for itself, not for the organizations supporting the Profession, but for the Profession. Later in 2011, AICPA Chairman, Paul Stahlin commissioned a project called the CPA Horizons 2025 where the Profession refreshed that vision with another massive grassroots effort and updated the purpose, values, and vision for our Profession in 2025. We were contracted through our Business Learning Institute to design and lead the grassroots ‘future forums’ with over one thousand participants. Here is what CPAs said about the CPA in the future. Purpose: CPAs…making sense of a changing and complex world. Watch David Pearce Snyder’s video and think about the vision we created for ourselves in 1999 and again in 2011. Isn’t this what we mean by a future-focused, anticipatory CPA? 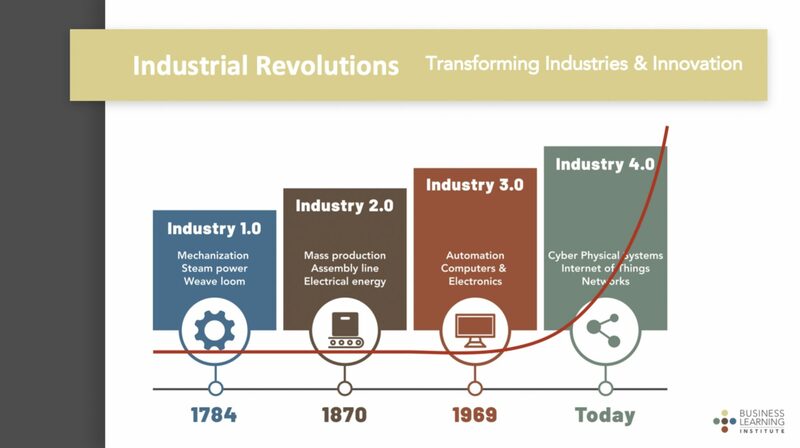 Isn’t it time to reimagine our Profession in an age of artificial intelligence, blockchain, cloud computing and big data just like our founders did in 1900?